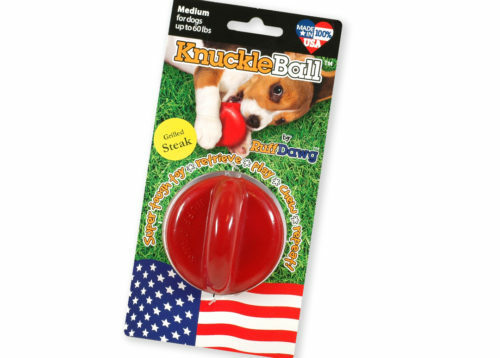 Made of the same durable, flavored chewable material as our RuffBone chew toys, Knuckleball is a hard, durable ball-shaped toy with deep knuckles dogs love to gnaw! KnuckleBall can also be thrown and retrieved and strung on a rope for more retrieving fun. Bacon flavored. 2.5” diameter.